A key benefit of surrogate model based search is that the gradients of the objective function are not required. If gradient information is available, the designer may in fact choose to employ a localized gradient descent search of the objective function with no surrogate model. However, if a global optimum is sought, the gradient information can be used to enhance the accuracy of a surrogate model of the design landscape, which can then be searched using a global optimizer. 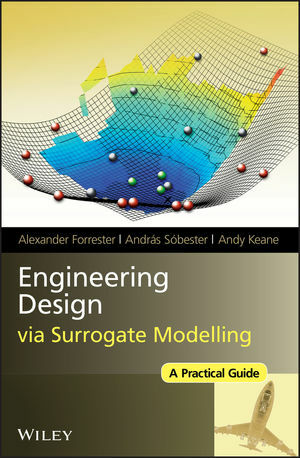 Although we are concerned mainly with the process of building and searching a surrogate model which utilizes gradients, we begin this chapter with a brief overview of how gradients of the objective function might be obtained. We then go on to show how this information (and higher derivatives) can be used to enhance the surrogate model.